Ample inside diameter for high-flow capacity. 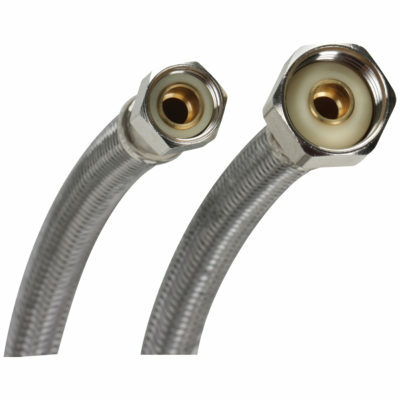 Fluidmaster 3/8″ Comp x 1/2″ FIP features flexible stainless steel braided exterior with ample inside diameter for high flow capacity. The inner core is reinforced with braided PVC tubing to prevent crimping. This item comes with a 10 year warrenty.